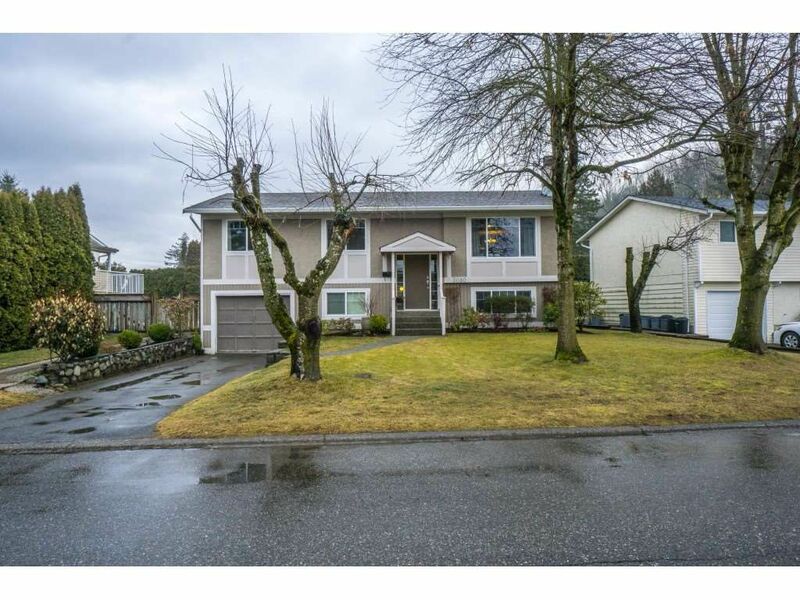 This renovated home is in a great location on a quiet street in an East Abbotsford family oriented neighbourhood. Close to all levels of schools. The kitchen is now an open concept with an 8 ft island. All new windows in 2005 up and down. A huge covered deck overlooks a fully fenced well maintained flat yard with ton's of rooms for the kids toys and pets. And there is RV parking! A cozy electric fireplace upstairs and gas fireplace downstairs. One bedroom unauthorized suite with large kitchen and living room with a 4 piece bathroom ($900./mth) Laundry is in a separate room shared by both up and down. Lots of room for storage in the enclosed space below the deck.